Add Extra Features in Youtube with Youtube Script. | Kanishk's Technical Blog. Add Extra Features in Youtube with Youtube Script. In this script you don't have to click to change the video resolution to the highest quality available.It's super easy to download a video. Just click on "Download", to download your desired resolution and format (You can change that in the settings). If you want to see the available formats and resolutions, click on the arrow, just next to "Download", to show the menu. If you are watching/listening to a video and you would like it to repeat. There's a simple button, "Repeat", which you click on and the video will repeat until you click on the button again. It's possible to use the YouTube player shortcuts like SPACE (Play/Pause), outside of the player. MP3 Online Converter (Link to an online converter in the download list) - You need to activate this in the settings first. YouTube Player shortcuts on page (Shortcuts works outside of player). 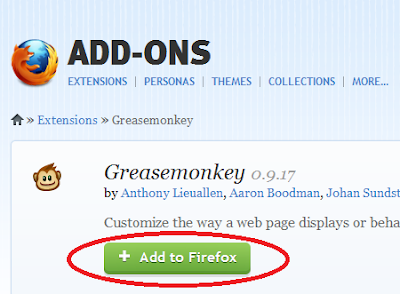 2) You will see a small +Add to Firefox button on greasemonkey website click on it. 3) After that you will see dialog box click on install button. 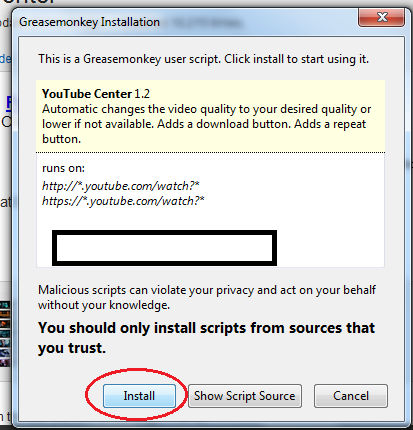 4) When greasemonkey install a box will be show at top of browser and click on it to restart your browser. 6) You will see a small install button on website click on it. 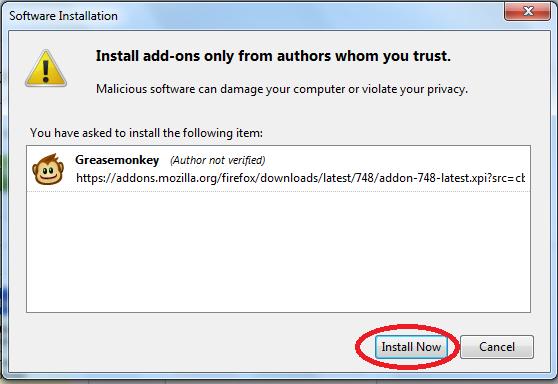 7) After that a dialog will be appear and click on install button. 1) Just install Youtube script.Goto click me. 2) click on install button and you will see a message on bottom and click on continue. 3) A new dialog will be open and click on install. 4) You are almost done and goto youtube.com and play vidoe then you will see three extra buttons. I Hope You Like This Trick.